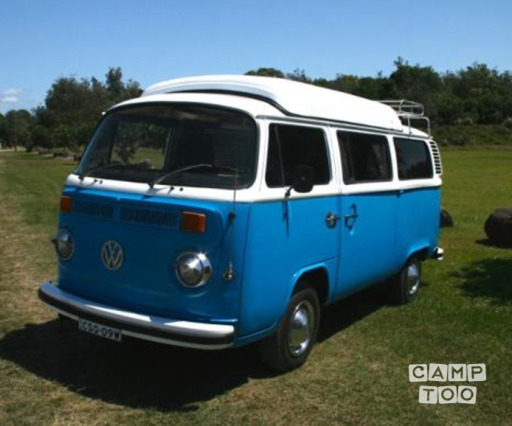 Lily is a 1977 dormobile bay window kombi T2, she has a 2 litre petrol engine and can seat 4. The van can sleep 2 adults with a fold down bench seat and an option for 2 children sleeping on fold out bunk beds above. The van comes fully equipped with all the necessities for your trip, including a 230V powered fridge, camping stove, on board water supply, crockery and storage space. Lily is great for touring within a 200km radius of Byron Bay, if you are looking at going further lets have a chat as we have a few other options. Lily is great for touring within a 200km radius of Byron Bay, if you wish to tour beyond this radius we need know as you make the booking.